Last chance of the summer! 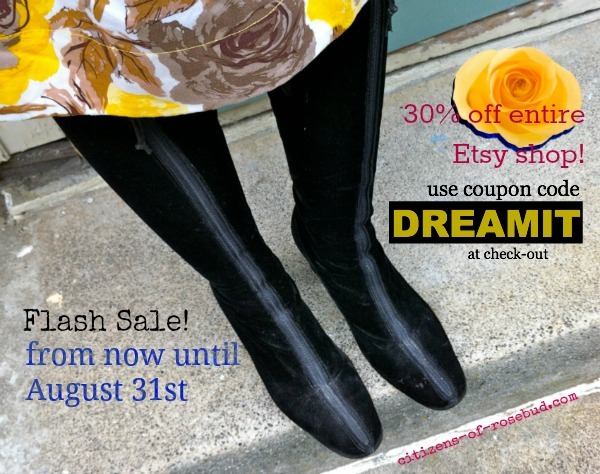 Take 30% off anything in the Etsy shop from now until Sunday, August 31st. Use coupon code DREAMIT at check-out, and enjoy a 30% savings off your purchase. I am still very happy with the bracelet from your Etsy shop.